Synopsis: On their way to the Interplanetary Olympics, hosted on the planet Vesuvia, two hockey players from Earth — Sticks, a forward and Fangs, a goalie — crash land on an “icesteroid.” There, an eloquent-speaking robot (think C-3PO from Star Wars) agrees to help repair their space ship if they play a game of hockey against his team of robots: killer robots wired with bombs! 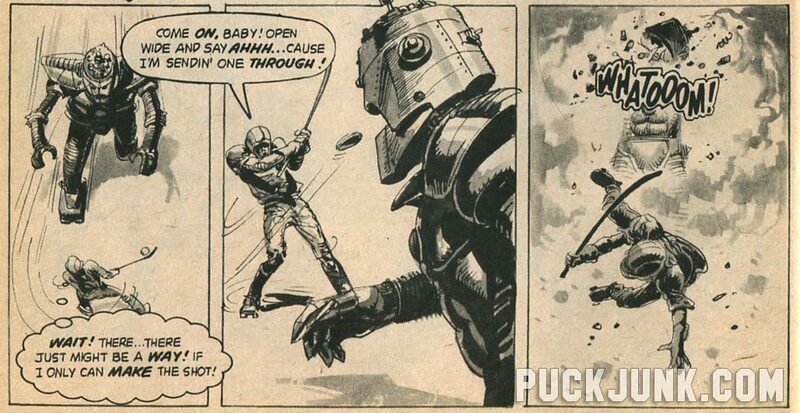 Sticks is given three exploding pucks and must make his way across the asteroid to score a goal. At the end, he must choose between his own life or the life of his teammate. 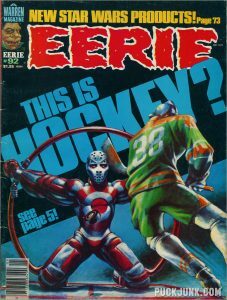 Proof that the artist never watched hockey: Sticks appears to be wearing a space-age football helmet and roller skates. 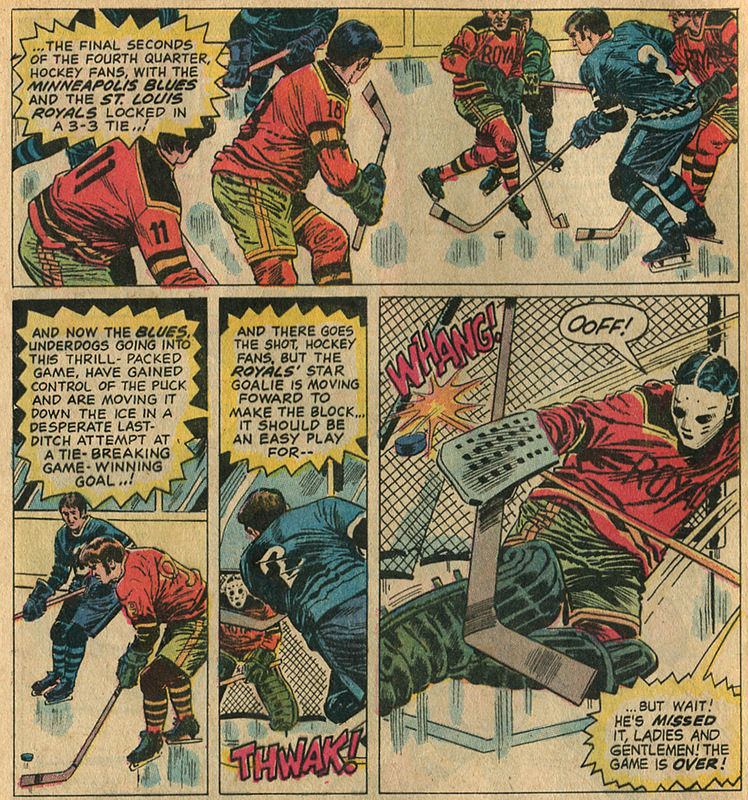 Ending spoiler (highlight text to reveal): Instead of firing the exploding puck at the net, which would kill his goalie, Sticks shoots it over the net, hitting a snow drift that is hiding a control room. 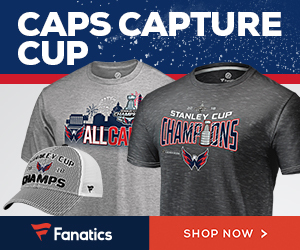 This kills their real captor, an alien from the planet Vesuvia who wanted these two Earthen hockey players dead so that Vesuvia had a better chance of winning the medal for hockey in the Interplanetary Olympics. And you thought the IOC’s policy on PEDs was bad! 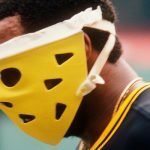 How spooky is “Cold Sweat”? The story doesn’t try so much to be spooky — or eerie, like the magazine’s name — but more so futuristic, with 1950’s-inspired sci-fi robots, high-tech equipment and space travel. 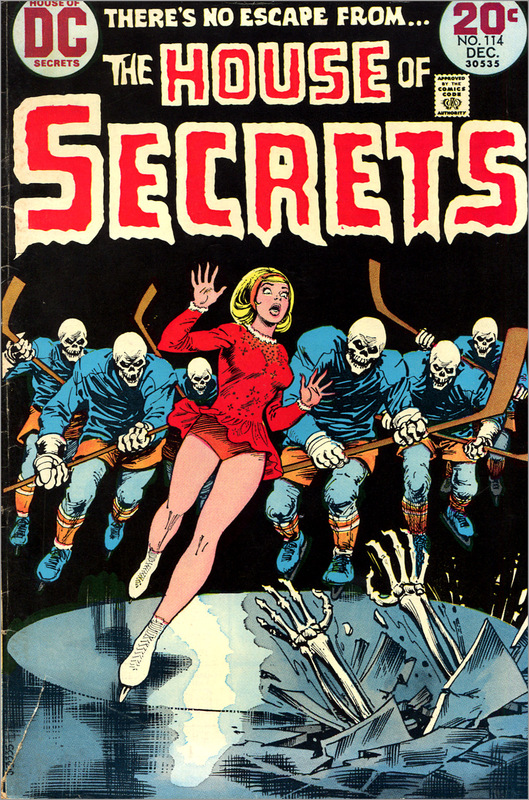 But the main character’s constant narration via thought bubbles kills any suspense. Also, the good guys aren’t really developed as characters. 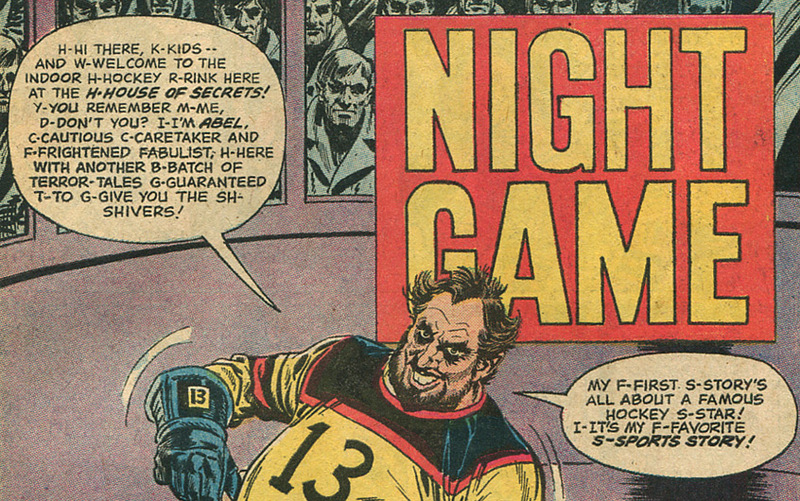 We don’t even see Stick’s face until the third page of the eight-page story. We never really get to like him or goaltender Fang (or the ship’s pilot, just referred to as “our pilot”) or care about their outcome. Heavy Metal magazine would have done this story much better. Synopsis: A lumberjack named Jacques kills his partner when he alleges that Jacques’ father was a murderer. How ironic! 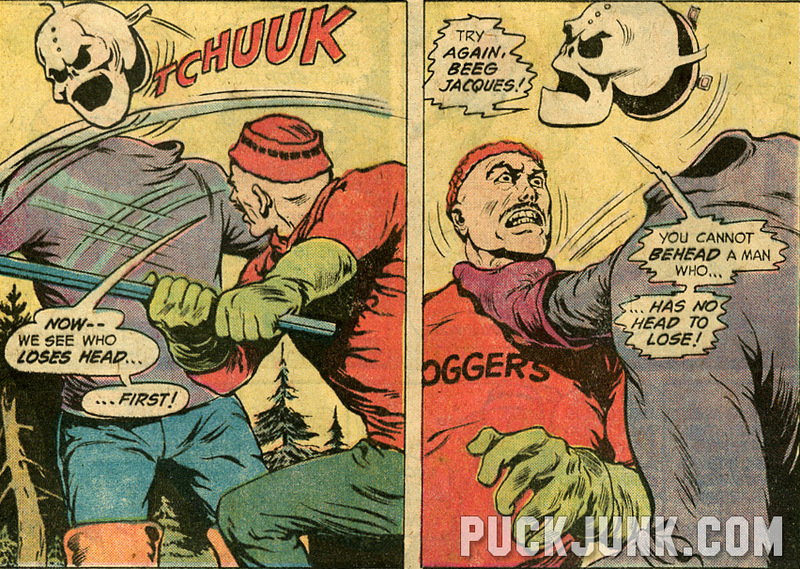 The next day, Jacques and his group of lumberjacks play a heated hockey game against a rival group of lumberjacks. 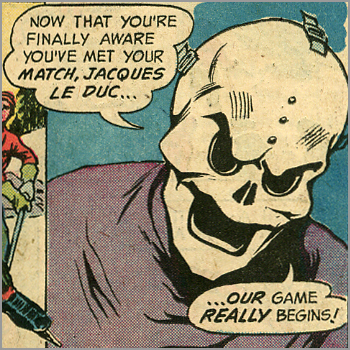 Jacques is leading his team to victory when a “Ghostly Goalie” appears and subs for the rival team’s injured goaltender. The match culminates in a shootout — to the death! — on an ice flow teetering on the edge of a waterfall. 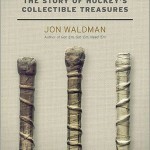 Proof that the artist never watched hockey: The skates worn by the players appear to be figure skates and the goalies are wearing cricket leg pads. Most exciting moment: Jacques decides that instead of scoring a goal, he’d be better off trying to kill the Ghostly Goalie. Only, it doesn’t go as he planned. 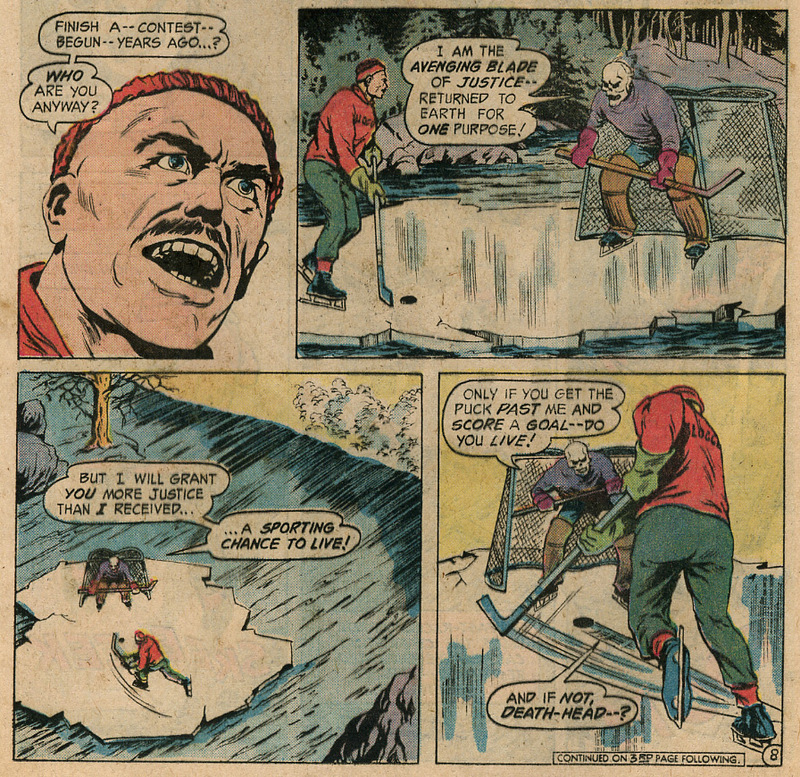 Ending Spoiler (highlight text to reveal): Jacques and the Ghostly Goalie plummet over the side of the waterfall, killing Jacques. 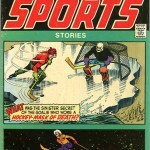 The Ghostly Goalie reveals that he is the undead body of the man that Jacques father murdered, and that he can finally rest in peace. 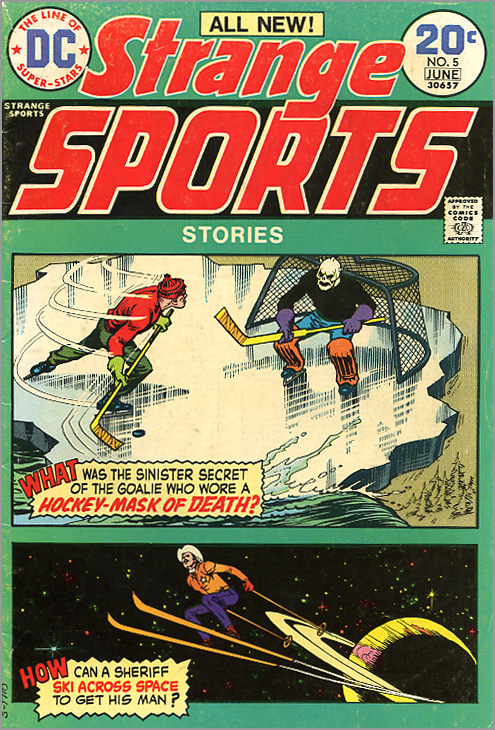 How spooky is “Hockey-Mask of Death”? When I originally reviewed this comic nine years ago, I thought it was a dumb story. But when I think about it now, this is actually kind of creepy. The tone is set early when Jacques murders his partner and hides the body in a hollow tree log. Later, the giant Ghostly Goalie appears out of the ether and is wearing a freaky mask that looks like a skull, hence the title of the story. Even though you don’t like Jacques, you get a sense of dread knowing that nothing he does will change his inevitable fate. 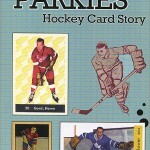 Synopsis: An all-star goalie named Ron Kopachec is purposely throwing games and betting against his own team, the St. Louis Royals. 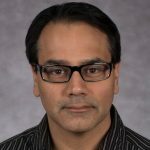 His coach finds out and forces him to retire. Kopachec plants a bomb on his team’s airplane, killing everyone, then signs on with a different team. Kopachec has gotten away with his crimes…or so he thinks. 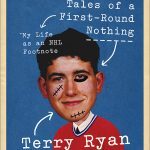 Proof that the writer never watched hockey: The very first scene states that it is “the final seconds of the fourth quarter.” While on a road trip, the goalie has his equipment stored in his hotel room (NHL players wouldn’t do that) and packs his gear in a trunk instead of a hockey bag. An announcer claims to be “ringside” during the final game. 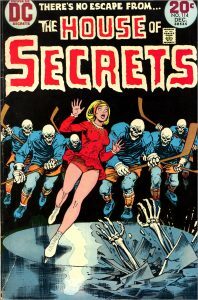 Most exciting moment: The St. Louis Royals comes back from the dead as skeletal hockey players, seeking revenge against Kopachec. 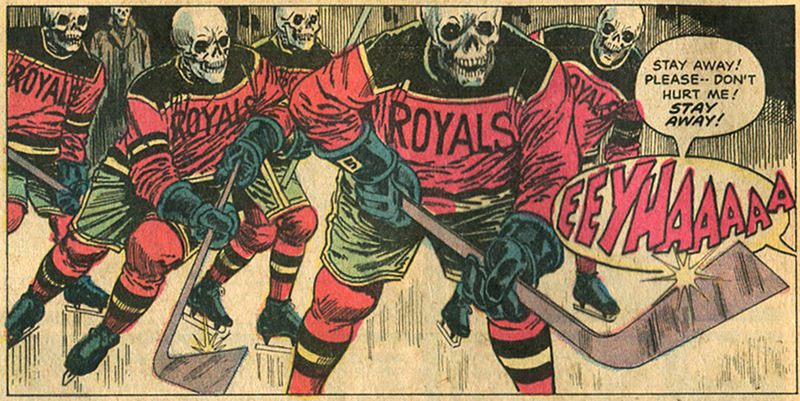 Ending Spoiler (highlight text to reveal): The St. Louis Royals hockey team, back from the dead as skeletons, lure Kopachec to the rink, corner him at his net, and presumably rip him to shreds with metal hockey sticks. 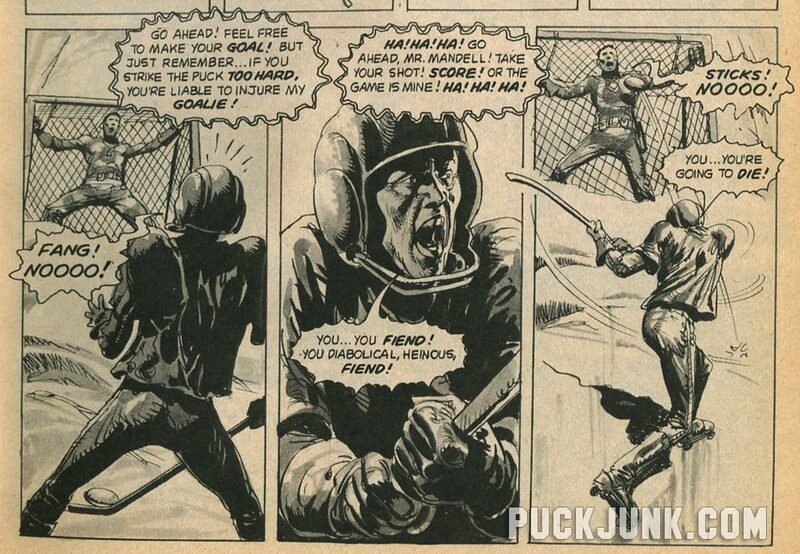 In the playoff game the next afternoon, his dead body is propped up by the net, covered head to toe in equipment. Everyone assumes that he is alive but when a puck hits him early in the game, Kopachec shatters into a pile of bones. Ha ha. These were pretty funny. 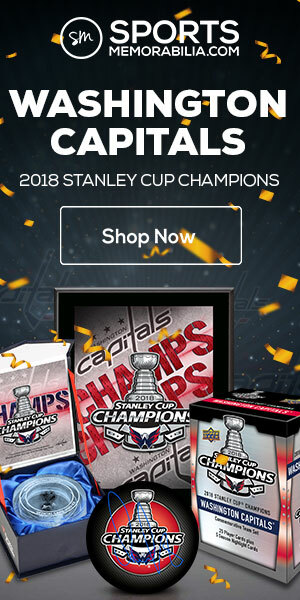 No real knowledge of hockey, that’s for sure. But good for a laugh.